This little-seen and remembered, Hanna-Barbera produced, ABC Saturday Morning 1975-77 revival of the 1940-58/1961-67 Metro-Goldwyn-Mayer cartoon short series featuring the Academy Award-winning cat and mouse duo has been my all-time favorite version for many years. In fact, it's my all-time favorite Hanna-Barbera cartoon. Period. And this is the world's first and only known web site devoted solely to the preservation and perpetuation of the 1975 version of Tom and Jerry! 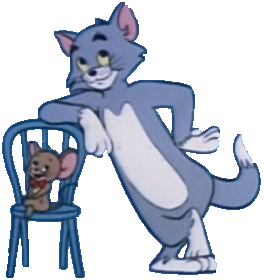 Here, in a much toned down, non-violent, Yogi Bear/Boo Boo-esque format (in order to satisfy ABC-TV Broadcast Standards and Practices), the long-popular Tom and Jerry, after years of rivalry, have become the best of friends (and Jerry dons a red bowtie, so the animators would be able to "fragment" his movements), in episodes wherein they roamed the world competing in sports, enduring on-the-job misadventures, running afoul of dastardly villains, solving mysteries and helping others. Below I have included a complete telecast history of The New Tom & Jerry Show's existence on ABC-TV, all of the lyrics to the The New Tom & Jerry Show's main title theme, and a table of contents leading to other areas of this site, including a series history, a complete list of all 48 7-minute New Tom & Jerry cartoons from 1975, with links to individual episode pages depicting detailed synopses and trivia of each show, a listing of production credits, links to information on Tom & Jerry's mid-'70s component series co-stars Mumbly and Grape Ape (since this site concerns them as well as T&J) and links to a dozen neat Tom & Jerry and other toon-related sites on the WWW. Enjoy! Now stay tuned for The Lost Saucer following Schoolhouse Rock, next here on ABC! A detailed account of the origin of Hanna-Barbera's New Tom & Jerry, including its difficult sell to ABC-TV, and its continuance on TV (and constant criticism!) through the years. Also includes a detailed broadcast history on ABC Funshine Saturday and lyrics to both the syndicated New Tom & Jerry and original ABC-TV New Tom & Jerry/Grape Ape Show Main Titles! A chart that lists all 48 7-minute New Tom & Jerry TV cartoons from 1975 grouped among threes in 16 half hour shows, along with original ABC-TV airdate and episode and production numbers. 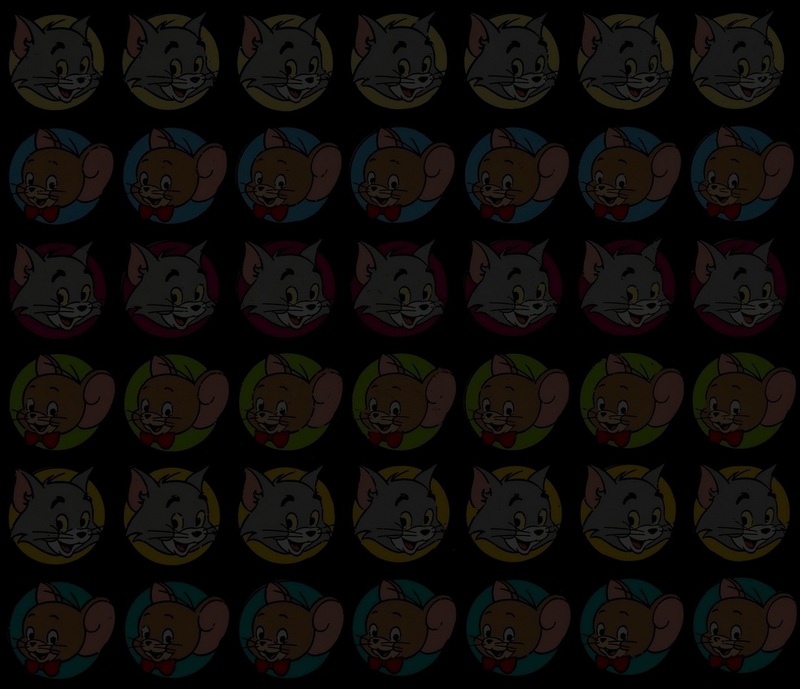 Each episode number is linked to an individual episode page which details and documents each and every one of the 16 half-hour segments of The New Tom & Jerry Show, and each episode title is individually bookmarked directly to info on the 48 NT&J cartoons. Numerous errors, flubs, goof-ups and mistakes as seen in the 1975 New Tom & Jerry cartoons, analyzed by J. A full listing of the personnel from Hanna-Barbera Productions responsible for bringing us the 1975 NT&J TV 'toons! TOM & JERRY'S MID-70S CO STARS! Extensive info on the characters who costarred with T&J in 1975 and 1976: The Great Grape Ape and Mumbly! 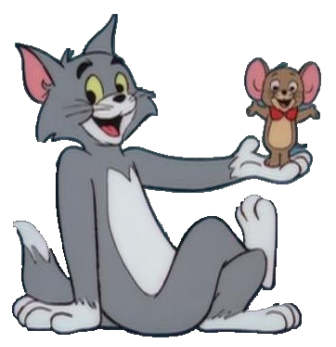 Links to other Tom & Jerry and toon-related sites on The World Wide Web! After over a year of nonaction, this page has made a comeback! View and listen to WAV, Media Player, WMV and RealVideo files of New Tom & Jerry, The Great Grape Ape and Mumbly! 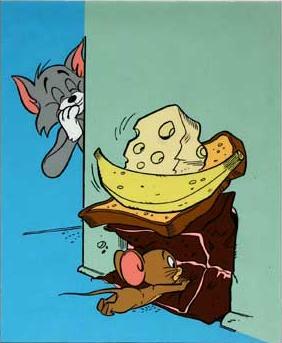 NEW TOM & JERRY DISCOVERY! Details of a New Tom & Jerry merchandising item from Germany! A list bearing thanks to those for their contributing to the existence, love and support, and maintenance of this site. WAVs of commercial wraparound segments of T&J on Cartoon Network in the 1990s which featured a remake of the 1975 T&J theme! A well-detailed episode guide for The New Tom & Jerry/Grape Ape Show that was shown on ABC Saturday Morning in 1975-76, in its original telecast order. A full listing of the series' production staff at Hanna-Barbera Productions, Incorporated. The Facebook spin-off group of the world's first and only known web site devoted solely to the preservation and perpetuation of Hanna-Barbera's 1975 New Tom & Jerry Show! Come and join today! Oh...did I neglect to mention that there's also a Facebook fan page built around The New Tom & Jerry Show from 1975? It's just like its sister FB group, but peppered with milestones and facts! Fans of the show, please click "like" today! Details every official release of Hanna-Barbera's 1975 made-for-TV incarnation of Tom & Jerry on DVD and provides a vessel for ordering said items online via Amazon.com. Original Hanna-Barbera layout sheets for New Tom & Jerry (#80 series) designed in May 1975. Do you, like me, enjoy the 1975 New Show? Or Mumbly and Grape Ape? If so, simply e-mail me! Subscribe to The New Tom & Jerry Group! This page was established Wednesday, March 12, 1997, and last updated Saturday, October 13, 2018.
and came to a parting of the ways with 50megs on Saturday, December 30, 2017 (if it ain't free, it ain't for me!). Images © Turner Entertainment. Many originally appeared on eBay. Conceived, edited, researched, cross-checked and written by Aaron Handy III. 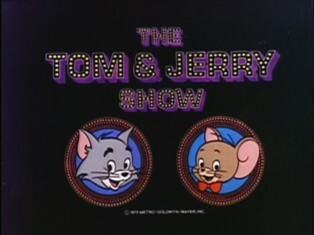 The New Tom & Jerry Show © 1975 Metro-Goldwyn-Mayer, Inc. and Hanna-Barbera Productions, Inc. 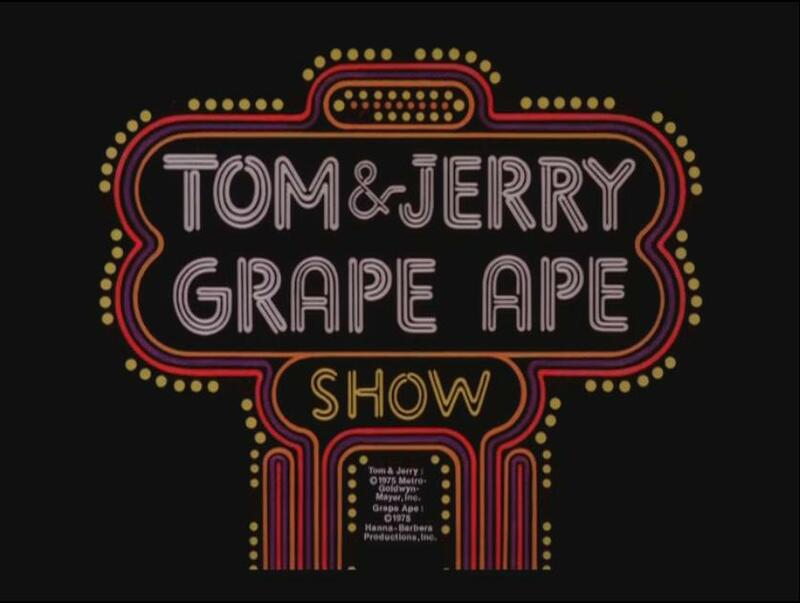 The Great Grape Ape Show © 1975 Hanna-Barbera Productions, Inc. The Mumbly Cartoon Show © 1976 Hanna-Barbera Productions, Inc.
All rights reserved. This site is non-profit and is intended for entertainment and tv research only; the images and sounds used on this website are believed to be in the public domain or fall within the boundaries of the US Supreme Court's Fair Use Act (US Code, Title 17, Chapter 1, Section 107).